Tracktimer is a management system for your racing team that supports motorcycles, sidecars, automobiles and karts. Think of it as an exhaustive log book and tool box for just about everything a race team needs. 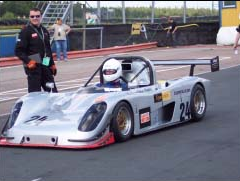 Tracktimer has been around since 2000 and is used in all levels of racing up to world class teams. 2015-12-22: New web site live and also official release of version 4! 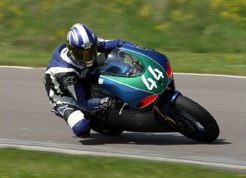 Tracktimer is highly specialized software for racing, currently supporting motorcycles, sidecars, gokarts and automobiles. Tracktimer needs Windows NT 4.0 (SP5) or later versions of Windows. Tracktimer has been translated to Italian, Spanish, French, Swedish and partly to Norwegian and German. The help file is only available in English. Printer friendly pdf-file, you need Adobe Acrobat Reader to read this file, click on the image below to install Acrobat. Whenever a new release is available or when there are important news I will send out an E-mail to all subscribers where the new features and/or fixes are discussed. Also expect some hints and tips to make you get the most out of Tracktimer. If you subscribe to my blog you will get the same information.